Tons of activities and a polished look make for a game that is very easy on the eyes. Bonus section games require additional purchase, and only one of them is iPhone compatible. In our rush rush world, sometimes the idea of sharpening your mental skills seems like an unattainable goal – who has time for that (and if we did, wouldn’t we rather be sleeping?). Yet, if we can make honing things like memory and concentration feel like entertainment, we’re that much more likely to give it a shot. 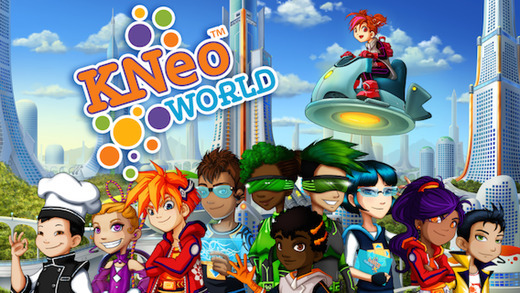 KNeoWorld Arcade seeks to sneak in a ton of brain building activities under the guise of a fun to play video game. So does it actually hit the sweet spot of both fun and educational? We downloaded the mobile app to give it a try. So the first thing you’ll notice as you launch KNeoWorld Arcade is the graphics – it’s super colorful and well drawn, looking a bit like something you’d see on Saturday morning cartoons. That’s a nice touch if you intend your kids to play it, and it makes the brain building a little easier on adult eyes as well. Many memory builders have very minimal amount of time spent on graphics, and I think it tends to make them feel more like homework than a video game. Even though the games themselves are fairly simple in execution, the polished look helps keep you engaged. 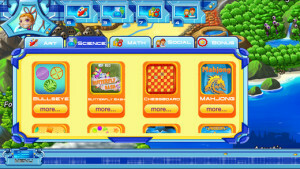 As you begin to play, you’ll be able to try out a variety of three mini games in each of five different categories: art, science, math, social, and bonus. 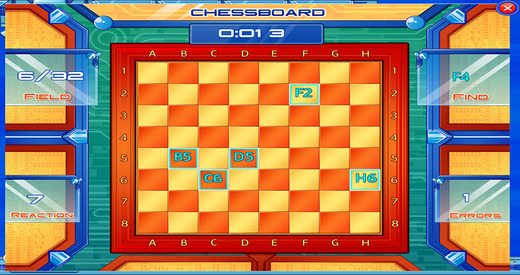 The games under the first four are about what you’d expect, with games like mahjong and memory card games giving your brain a little workout without feeling like work. 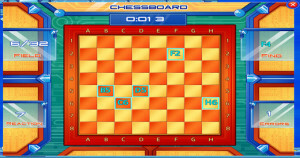 Most of the games require you to work both your intellect (figuring out the answers to simple math problems or remembering sequences) and your hand eye coordination (hitting the centers of moving targets or clearing a chessboard). 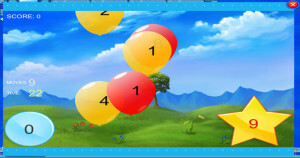 This helps to keep the game moving at a pretty steady pace, giving you plenty to do but in short intervals. Since each of the mini games is rather short in duration, it makes for a great game to play while waiting in line or on a quick coffee break. The bonus section has three extra games that can be played, but you’ll have to shell out an extra buck or so for each of them (rather a blow since the game requires an initial $4.99 investment as well). And if you happen to be playing on an iPhone or iPod, you’ll find that only one of those three is even available for your device, with the other two being iPad only games. The other twelve games will keep you busy enough on their own, but the bonus section was decidedly a disappointment. KNeoWorld Arcade is a brain building game that is actually fun to play. 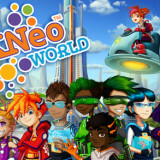 Whether you’re a parent looking to sneak a little education into your children’s game time, or an adult who wants to sharpen your wits, it’s a nice choice for making every bit of screen time count. 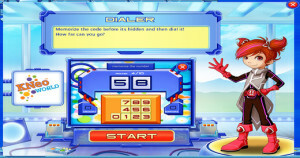 The colorful and polished graphics make it very easy on the eyes, and the variety of mini games make for plenty of different activities to keep you coming back for more.